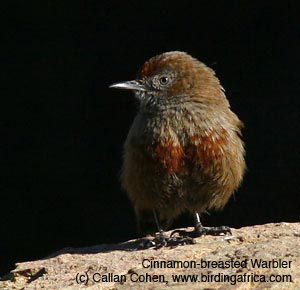 Africa's highest level of endemism in the most accessible setting: 185 bird species are endemic or near endemic to southern Africa. With its scenic and botanical wealth, South Africa contains two of Africa’s four biodiversity hotspots as defined by Conservation International. We offer a comprehensive South Africa Ultimate Endemics Tour as well as regional itineraries, such as a Western Endemics Tour along the Cape Birding Route, an Eastern Endemics Tour and a Kruger birds & mammals tour. To see some example itineraries, please scroll down. Based on your desired areas and species, we can tailor your private guided tour or recommend you to join a set-departure group tour from the dates below. 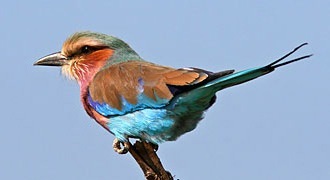 We have written the definitive bird-finding site guide to the region: The Southern African Birdfinder and Essential Birding. 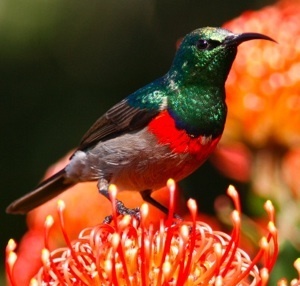 Ethan recommends: The South Africa tours are well suited to world listers, because we see a very high proportion of endemic birds, as well as wildlife enthusiasts because we make a special effort to see large mammals, reptiles and special plants on our walks. 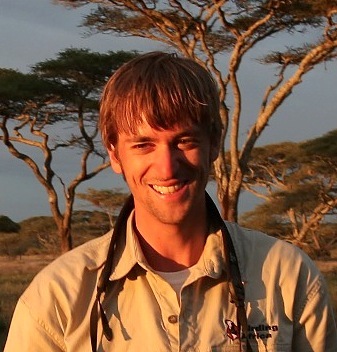 Ethan Kistler has moved from Ohio to Cape Town, where he is specializing in Africa's birds. This year he has led tours for Birding Africa in South Africa, Ethiopia and Tanzania (where this photograph was taken in the Serengeti). Ethan studied Applied Biology at the University of Cape Town, gaining extensive knowledge of the ecology and birdlife in Southern Africa. He has travelled widely from the Cape of South Africa to the iconic Mount Kilimanjaro of Tanzania, birding all the way. In 2014, during a break from his African schedule, Ethan represented Birding Africa at "The Biggest Week in American Birding" in Ohio. He also helped set up the outings during that week and did some tour-leading in the USA for Birding Africa. Each year since then Ethan has represented Birding Africa at "The Biggest Week". Designed to offer the best of both Western and Eastern South Africa, maximizing the number of bird species and offering charismatic and localised mammals and exceptional scenery. The tour starts in Cape Town and ends in Johannesburg or vice versa. This tour is a combination of the Western and Eastern endemics tours, run back-to-back. As on all our tours, we've carefully selected guesthouses and lodges to maximise birding time and quality. 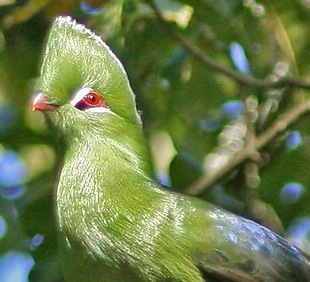 This tour covers a possibility of 135 southern African endemic and near-endemic bird species, with up to 450 bird species expected. The itinerary is designed with the dedicated birder in mind and targets the highest proportion possible of the region’s endemics and characteristic habitats of South Africa's West and its Cape Floral Kingdom. This tour starts and ends in Cape Town. Click here for more practical tour information and a trip report of short trip and a longer trip. Optional extension: Afromontane forest at Grootvaderschbos or Wilderness in the Garden Route. This itinerary is designed to see as many bird species as possible in the shortest time. 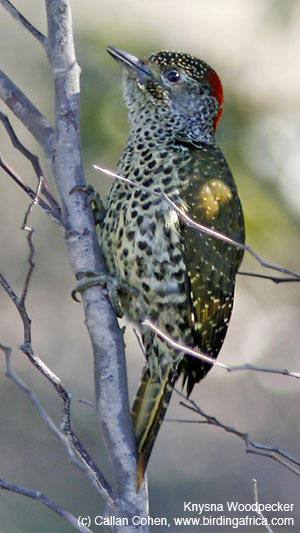 It combines subtropical birding with good mammal watching. We visit coastal forests and bird-rich reserves, perhaps better known for Rhino conservation, in search of specials such as the delicate Pink-throated Twinspot and the mystical Pel's Fishing Owl. This tour starts in Durban and ends in Johannesburg. 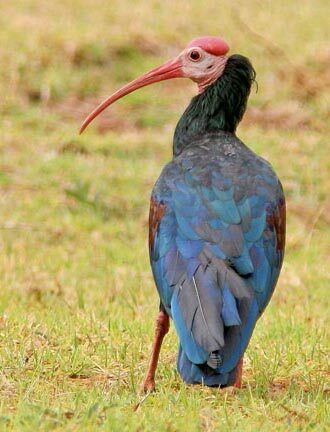 - Wakkerstroom's globally threatened highland wetlands and grasslands, to find Rudd's and Botha's Lark, Blue and Barrow's Korhaan, Southern Bald Ibis, Yellow-breasted Pipit, four species of bustard and three cranes. Click here for practical tour information and a trip report. This itinerary is designed to complement birds with mammals, in both Kruger National Park and Afromontane forest. It starts and ends in Johannnesburg. It offers birding in the Afro-montane forests, lowland acacia savanna, grassland, riverine and broadleafed woodlands, with a total list of over 500 bird species. This tour also offers excellent mammal encounters, including 'the Big 5': elephant, rhino, buffalo, lion and leopard. - the vicinity of the Blyde River Canyon, to spot Taita Falcon - one of Africa's most endangered raptors. - Central and Southern Kruger National Park, to search for African Finfoot, Lilac-breasted Roller, Southern Ground Hornbill, Saddle-billed Stork, Secretary Bird, Bateleur and other large raptors as well as a wealth of mammals. 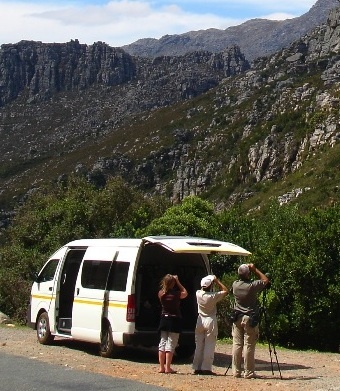 This tour is designed to combine the best of the Cape's birds, wild flowers and scenic landscapes. This is an excellent-value budget tour. It starts and ends in Cape Town. - the West Coast to visit Rocherpan and Verlorenvlei for an abundance of waterbirds. - Elands Bay, Lamberts Bay (Cape Gannet colony), Strandfontein and Papendorp (Karoo Lark & Cape Clapper Lark). - Karoopoort and Ceres (Cinnamon-breasted Warbler, Black-eared Sparrowlark and Karoo Chat). Click here for other Namaqualand tours, tour information and trip reports. For day trips, weekends and longer tours from Cape Town, please click here. 'Many thanks for such a comprehensive set of information... but then I'd expect nothing less after all of your previous hard work and attention to detail! Africa were also on hand to make a few tweaks in the itinerary during the course of our travels and it was reassuring to know that we had such backup should anything go astray. For keen birders and mammal enthusiasts. Designed to see as many as possible endemic birds, but while on the walks we spend a lot of time looking for other aspects of wildlife such as mammals, chameleons, geckos, butterflies and interesting plants. We can also customise any itinerary to suit to the keen birder, the wildlife enthusiast or both. Many participants on our trips are amateur wildlife photographers. And when we get excellent views of a bird or mammal, some time is usually spent watching and photographing it. However, this is not a photographic tour and once the majority of the people have felt that they have absorbed the animal or bird to their satisfaction, then we move on in search of the next encounter. Thus, while the photographic opportunities are very good, the group will only occasionally wait for somebody who wants to spend even longer getting better photos. enquire as this depends on the exact tour. The best timing varies per region; enquire. Cool in the Cape and highlands Drakensberg hot in the lowlands. A good standard of accommodation in guest houses, lodges and small hotels. We travel by minibus or four wheel drive vehicle. Just six participants can join our Ultimate Endemics and Cape to Kruger tours for 2018 and 2019. Group size varies for the other tours. Please enquire.